All you need to do is to fill up a shoe box with lots of goodies to give someone a memorable Christmas. 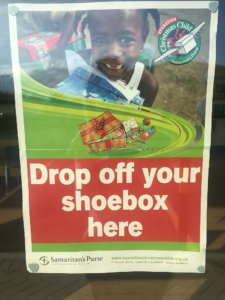 We even have FREE shoe boxes to give away to help you get started! 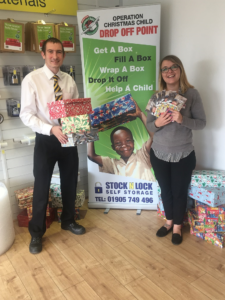 Please drop of any boxes in reception by the 18th November!